I am disabled and on a fixed income. I was given a chance with a credit card with past due medical bills, my limit of $200 which is a cushion on months I run short or want to pay for breakfast or dinner with my 80 year old dad which I can pay when I tell him my card rewards me when I use CreditOne to pay for dinning out. I was given an increase of a $500 limit within a few months and I pay off the balance every month. CapitalOne wouldn't offer me a card after paying off 2 different cards 20 years ago before canceling them. Thank you CreditOne for the chance to better my credit score, have a cushion to treat my dad or a quick stop at the store and for protecting my card with fraud protection if I use this card 3 times in a day, after answering a few questions I can use the card again. So obviously the only reason anyone would get this card is because they have bad credit and are trying to improve it. I've only had the card a few months but I'm cancelling it this month. I haven't had an issue with payments as some people seem to have. However, they never notify me when my statement is ready and the payment is due. Also, it would be nice if the website allowed you to make a payment when the payment is due or to schedule a payment ahead of time. The only options seem to be to make a same day payment which could take up to 7 business days to post to your account or to make a rush payment which of course there is a charge for. 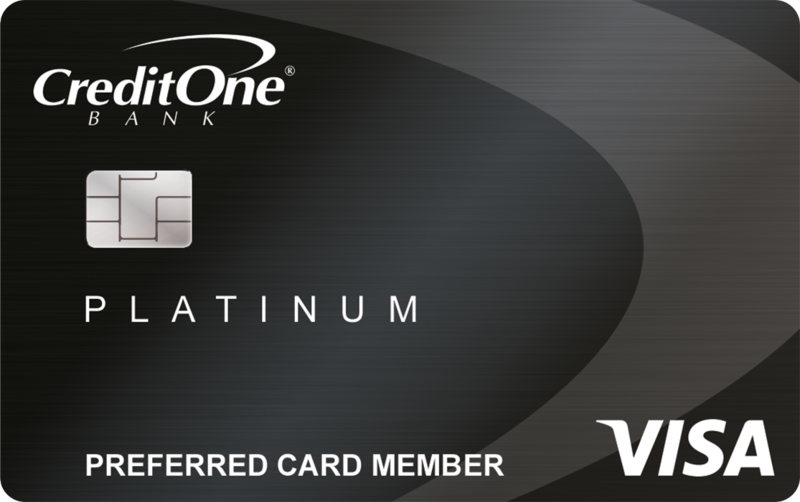 Luckily I check my account often enough and don't use this card much so it hasn't been a problem. Nevertheless, it's clear to me from my own experience and those of others that this company seems to want to make it difficult for people to pay their credit card bill. AND, I always charge a small amount and pay it in full after they've reported it to the credit agencies. So literally not a single penny rolls over from one statement to the next and yet this month they charged me nearly $5 in interest on purchases. And I haven't made any purchases since the last statement and payment. I would dispute it but I'll pay it and just be done with the card forever. But given that they never notify me when the statement is ready and the bill is due, had I not checked the account (because I wanted to close it), I wouldn't have paid the bill and that would have been a late/missed payment which would have been a negative mark on my credit report and of course would have made my balance $35 or more by the time they tacked on late payment fees etc. There are other cards that will help you build your credit. This company really seems to want to do the opposite of that. 1. Only charge a small amount so that you can pay it in full the next month. You don't want this card charging you even more interest than they already do. 2. Find out when they print/prepare your statement. This is when they report it to the credit agencies. 3. Go online and make your payment as soon as your statement is available, allowing plenty of time for the payment to post by the due date. Note: Remember it's not about how much you charge, the less of your credit you're using the better. Once a credit card company has reported to the bureaus that you've used your card you are now free to make a payment. Don't wait until the due date. Automate it if you can. My credit score rose above 720 from hard work and doing the right things for over a year. As soon as my credit became good they blocked me from viewing use history, using and paying off my card because they said there was suspicious activity adding up to less than $200 that I said was legitimate charges. Blocking also keeps you from seeing activity on your card and from paying your monthly bill. They made me send in a copy of my ID and utility bills 3 times. I still don't have access and can't pay my bill. It's been 2 months. They won't report that the blocked card is only around 10% use so my credit usage looks too high. Now my credit has dropped to 640s. Talking to customer service gets you no where. They don't care. Customer service is not in America. Be careful of this company. It seems great at first but as soon as you're able to move on to cards for good credit they will do something to drop your score. Overall it is ok, the app is sometimes not working and you have to jump through hoops to pay your bill after the first two times or get a name change on the card. They are so sneaky. They will tack on charges right away and they are sometimes over the 30% recommended usage. This is a good starter card to help rebuild your credit with a decent beginning % rate, comparing it to others. Just wait. When your credit score rises they will sabotage you. This is a good card with a good starting limit to rebuild your credit and a decent % rate, for the circumstances. most people get approved for a $300 credit line, there is an annual fee. It great for rebuilding credit or for first time credit card users. The APR is not low, ita on the high side. The down side to credit increases is that they charge a fee as most credit cards dont. And they will say you're eligible for a credit line increase if you open another card. I should’ve heeded the warnings on here. I wouldn’t even give it one star. FIRSTLY, the card never even made it to my house. After calling several times they would tell me to give them a few more days, and if it doesn’t come, call them back. I received an email saying my card activation period was about to expire so I need to activate it, as I should have received it. I called again. On this phone call they decided that my birthday was incorrect and I need to verify it. They needed my birth certificate. Um no. Why did the other ones not say that? They’re just now saying my birthday doesn’t match. So after arguing back and forth with the guy saying how am I supposed to verify a bday that I don’t even know what it is, I told him just close my account. HE SAID HE COULDNT UNTIL I VERIFIED THE BDAY THEY HAVE ON FILE!!! How am I supposed to verify something THAT ISN’T EVEN CORRECT INFORMATION!! Then I found out they had ALREADY CHARGED $75 TO MY ACCOUNT. I am beyond ticked. It took transferring me to a “supervisor” to get it all resolved. Let’s hope they really did. This paragraph does not even sum up my frustration. I was desperate for some help through a credit card, but I should’ve never tried this place.